The turn of the last century foretold a new age in French horn craftsmanship when Frank Holton opened his third-floor two-room Chicago shop in 1898. Formerly first trombonist in Sousa’s band, Holton achieved initial success with his revolutionary slide oil formula, Electric Oil, which is still popular today. 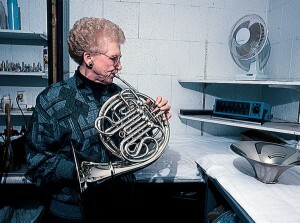 Soon Holton began experiments to improve brasswind instrument design. In 1917 Holton moved his company to Elkhorn, Wisconsin, where it has remained as the country’s oldest continually operating wind instrument company. 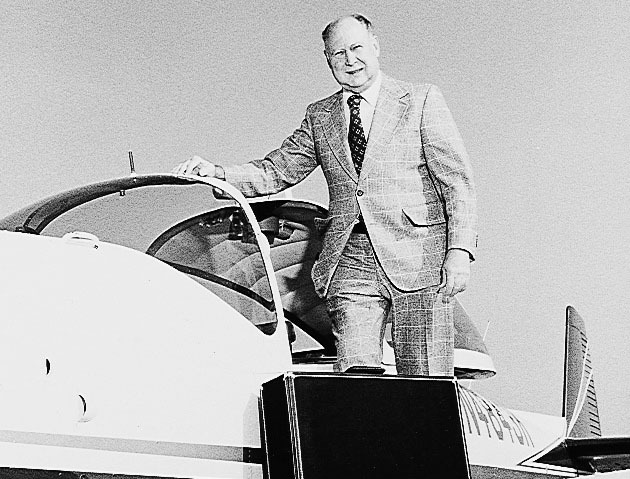 New standards for excellence were set when G. Leblanc Corporation acquired Holton in 1964. This alliance has produced French horns recognized as the finest in the world, bearing such names as Collegiate, Slotspie, Farkas and Merker. Philip Farkas’s legendary career as a musician, teacher and author spans more than a half-century. As a youngster, he discovered the horn seren-dipitously, as it proved to be a more compact alternative to the tuba, which would not fit through the door of the streetcar that took him to school. A chance meeting with executives from the Holton company and Farkas’s desire for one French horn that would incorporate the good qualities of the many horns he was using led to the creation of Holton’s initial Farkas model horn in 1958. 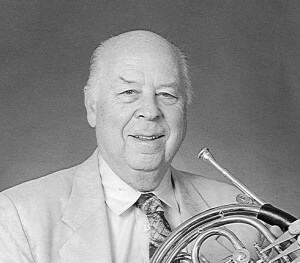 Farkas left the Chicago Symphony in 1960 to begin a distinguished teaching career at the University of Indiana, Bloomington. America’s senior statesman of the horn retired from academia in the early 1980s, but continued to practice two to three hours a day until his death in December, 1992. Ethel Merker’s career spans over 50 years and encompasses nearly every musical experience imaginable. In fact, the Holton clinician has been something of a French horn-playing explorer, taking special pride in fitting in with whatever the job demands. A former member of the Chicago Symphony Orchestra, Ethel has also performed with the Boston Pops tour orchestra, the Berlin Radio Orchestra, the New York City Opera and the Chicago Lyric Opera, to name but a few. As a recording artist, she backed the Jackson Five, Diana Ross, Curtis Mayfield, Ramsey Lewis and John Denver. Her sound has filled commercials for McDonald’s, Coca-Cola, United Airlines and on and on. “My specialty is trying to expose young players to all kinds of music so they will be flexible in their playing instead of stodgy and rigid.” Besides teaching, Ethel Merker does clinics, appears at festivals and freelances whenever there’s a call for the lady with the horn. At age ten, Louis Stout regularly listened to the Chicago Symphony on the radio and vowed that one day he would play in that orchestra. Two years later, he took up the horn and, without initial instruction, learned to play the instrument that would be a companion for the rest of his life. By age 16, Louis entered college as a horn student, but the start of World War II interrupted his education. After the war, and eleven years after first starting, he returned to college to teach horn and earn his bachelor’s degree. After graduation and four seasons with the Kansas City Symphony, Louis heard of an opening in the Chicago Symphony Orchestra, and he auditioned before director Fritz Reiner and hornist Phil Farkas. The pledge that he made to himself as a boy finally came true when the job was offered to him. He played five seasons with Chicago and then started another phase of his career, teaching college. Because he was offered every job for which he auditioned, it never occurred to Louis that he might not get the position he sought at the University of Michigan. He got it, though, and 28 years later, in 1988, Professor Stout retired from a distinguished teaching career at that university. Mr. Stout’s interest in the horn has lead to the acquisition of a vast collection regarded as one of the finest in the world. It is housed at the Schloss Kremsegg Brass Collection located in Linz, Austria. Lately, Louis has maintained an active roster of private students. A virtuoso hornist, Lisa Bontrager may have defied the conventional career path of someone with her talent by not taking a seat in a first-class symphony orchestra, but choosing to dedicate herself to the teaching profession. An associate professor of horn at Pennsylvania State University, Lisa has the ability not only to demonstrate playing the horn to her students but to inspire them by her own beauty of musicianship. Testimony to her abilities is found in the quadrupling of horn-student enrollment since her arrival at Penn State. As a sixth grader anxious to join the band, Lisa was introduced to the horn by a music retailer. By her senior year in high school, she was principal horn of the Michigan All-State Band, a member of the World Youth Symphony Orchestra at Interlochen’s national music camp and had begun private lessons with Louis Stout. 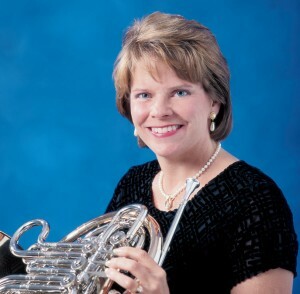 Besides her performing and academic duties, Lisa serves on the advisory council for the International Horn Society and is an active endorser/clinician for Frank Holton Company.